04 Feb Harold Ford Jr.
Keynote speaker Harold Ford, Jr. served in Congress for 10 years beginning in 1997 from Tennessee. Elected at the age of 26, Ford served on the House Budget, Education and Financial Services committees during his decade in Congress. Recognized early on for his ability to seek and find bipartisan solutions, Ford was a leader among the congressional blue dog caucus where he worked across party lines to pass balanced budgets, find cures to our nation’s broken public education system, and lower taxes on job creators and middle-class families. 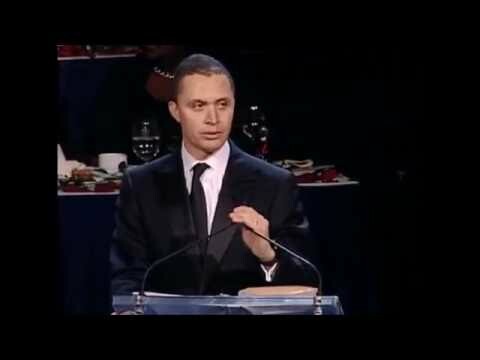 Currently, speaker Harold Ford Jr. is working to help shape the national debate for the 2016 presidential race by calling for a new compact between our political system and the people our system is supposed to serve. In short, he believes, much like he did during his time in Congress, that continued U.S. dynamism depends mightily on a growing entrepreneurial and middle class in America –both of which are in decline today. To restore these pillars of American growth, Ford argues, a new American compact is needed that fairly rewards risk-taking and hard work for every American willing to commit. To accomplish this, he believes big and new investments to modernize U.S. infrastructure is step one, followed by tax reform and simplification, and then a total change in how we charge for higher education and other life-skills training are the immediate steps leaders in government should take.